South Devon Osteopaths | Why Osteopathy? What other evidence based options do I have? What is the evidence base for Osteopathy in the treatment of neck and low back pain? 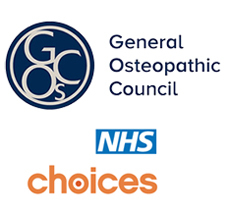 In 2006, the Department of Health published guidelines which advocated the establishment of multidisciplinary clinical assessment services and recognized that musculoskeletal disorders can often be resolved quickly and effectively by treatments such as osteopathy (The Musculoskeletal Services Framework. A joint responsibility: doing it differently, DH, 2006). The National Institute for Health and Clinical Excellence (NICE) published guidance on the treatment of non-specific low back pain in May 2009. Recommendations in Low back pain: Early management of persistent non-specific low back pain, include manual therapy, as practiced by osteopaths. This includes spinal manipulation, mobilisation and massage, for patients who “have been in pain for longer than six weeks but less than one year, where pain may be linked to structures in the back such as joints, muscles and ligaments”. This was updated by NG59 that recommends considering manual therapy (manipulation, mobilisation or soft tissue techniques (for example, massage)) for managing low back pain with or without sciatica, but only as part of a treatment package including exercise, with or without psychological therapy. In December 2011 the Department of Health published the Any qualified provider service specification for patients with Neck and low back pain in which it includes manual therapy as practiced by osteopaths. Other health professionals may also be able to help you. The Department of Health recommends the following types of treatment for non specific (mechanical) neck and low back pain. The classes may include exercises to strengthen your muscles and improve your posture, as well as aerobic and stretching exercises. Your local outpatient Physiotherapy unit may have classes available via self or GP referral. If you choose a course of manual therapy, this may include manipulation, mobilisation and massage. Mobilisation and massage are performed by a wide variety of healthcare practitioners. Your session may include an element of education, explanation of your pain, hands on treatment and a home exercise plan. Manipulation can be performed by osteopaths and chiropractors, as well as by specially trained doctors and physiotherapists. In some areas manual therapy is available on the NHS via GP referral. Speak to your GP if this is the case in your area. Acupuncture is a technique used by a wide variety of healthcare practitioners, including specially trained doctors, nurses and physiotherapists, as well as osteopaths, chiropractors and specialist acupuncturists. It involves inserting fine, solid needles at different points in the body. This can help to reduce low back pain. In some areas Acupuncture is available on the NHS. Speak to your GP if this is the case in your area. If you are unsure who to see you may wish to speak to your GP or to a registered practitioner in your area to see if they can help you. A list of registered local practitioners can be found by going online or calling the relevant Regulating bodies listed below.